Reno, Nev. Nov. 14, 2017. The following report highlights several important agenda items from the Washoe County Board of Commissioners meeting. 1. Human Services Agency receives grant to help mentally-ill homeless population. County Commissioners approved a $240,000 FY18 Community Case Managers Grant from the State of Nevada Division of Public and Behavioral Health to the Human Services Agency for the homeless. Grant funding will assist chronically homeless clients suffering from mental illness by helping them move from the street to transitional and permanent housing. In addition, they will have their primary care needs met and receive substance abuse and mental health treatment. During FY 16-17, community case managers successfully moved 79 chronically homeless individuals into housing and conducted 488 outreach contacts with chronically homeless individuals throughout the community. The Community Case Managers Grant runs through September 30, 2018. 2. Commissioners approve Spanish Springs trail system improvements. Commissioners approved a maintenance agreement between Washoe County and the Sugarloaf Peak Landscape Maintenance Association to construct new sections of trail in the Donovan Ranch area of Spanish Springs. The agreement will allow trail system improvements, landscaping, ongoing landscape maintenance and landscaping improvements in the general area. The maintenance agreement with the Sugarloaf Peak Landscape Maintenance Association also includes all future construction, maintenance, and revegetation costs associated with the improvements. These trail system improvements will enhance the trail network allowing new and existing residents to connect with Sugarloaf Peak trails and open space in Washoe County. 3. 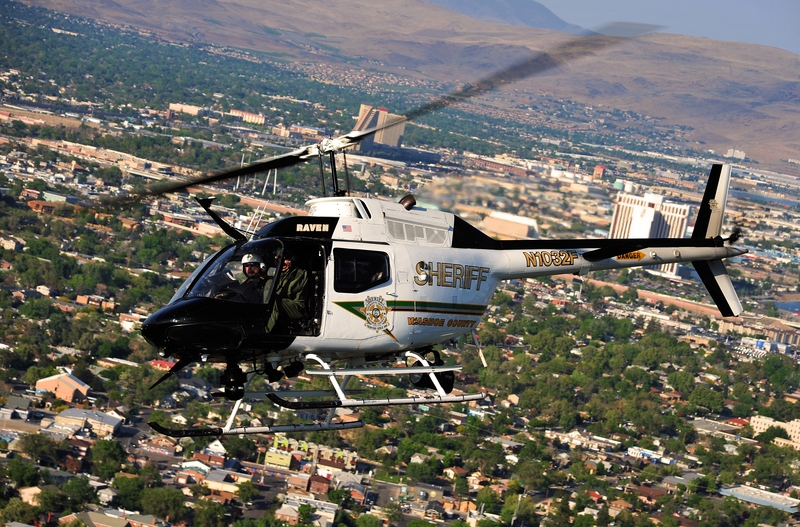 Commissioners approve the purchase of new RAVEN helicopter camera equipment. The Board of County Commissioners approved the purchase of new camera equipment including a thermal camera, light and infrared which will replace the aging 15-year-old camera equipment. The purpose of this equipment is to greatly enhance the ability to assist law enforcement with patrol, responses and searches during nighttime hours.